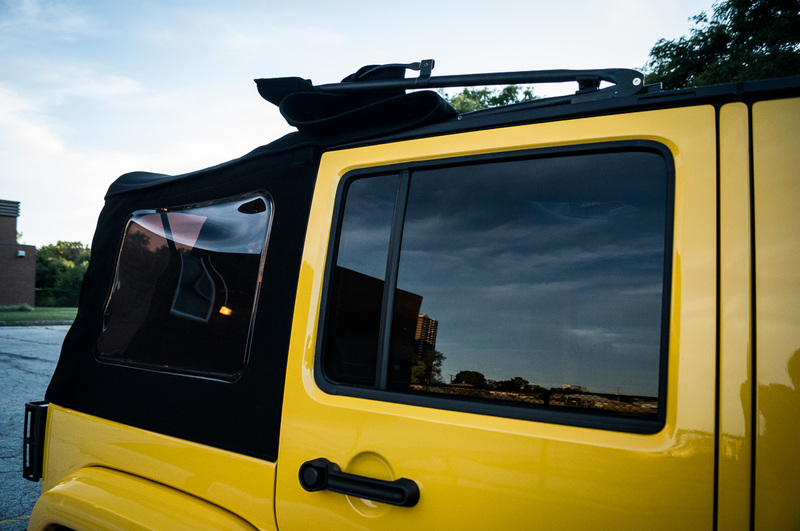 Be rugged, be simple, and take drivers everywhere they need to go. 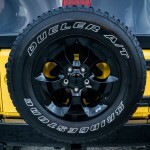 The tagline – “It’s a Jeep thing, you wouldn’t understand” – is a popular one that adorns many Jeep enthusiasts’ t-shirts and bumper stickers. When the original Willys models were developed for the American military in the 1940s, the idea has always been simple: be rugged, be simple, and take drivers everywhere they need to go, even if it takes them off the beaten path. 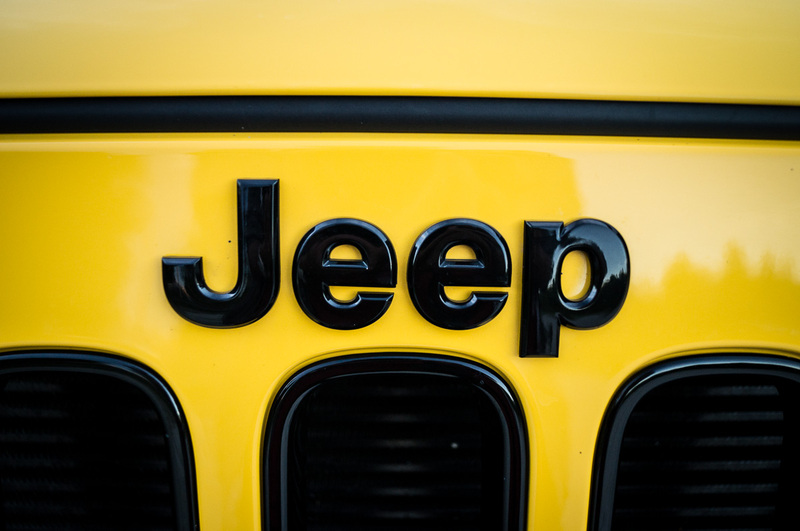 Over the course of ownership under several different parent companies since the Second World War, the basic Jeep formula has remained the same. 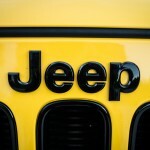 With the current “JK” iteration, Jeep has sought to bring the Jeep up to modern standards without sacrificing the classic Jeep capability when going off-road. 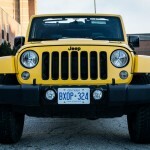 To try and understand what the Jeep thing is all about, Fiat Chrysler Automobiles Canada sent over a 2015 Jeep Wrangler Unlimited Altitude Edition 4X4, finished in a bright Baja Yellow. In Unlimited form, the Wrangler boasts four doors and a longer 2,950 mm (116 in) wheelbase over the traditional two-door model’s 2,420 mm (95.4 in). 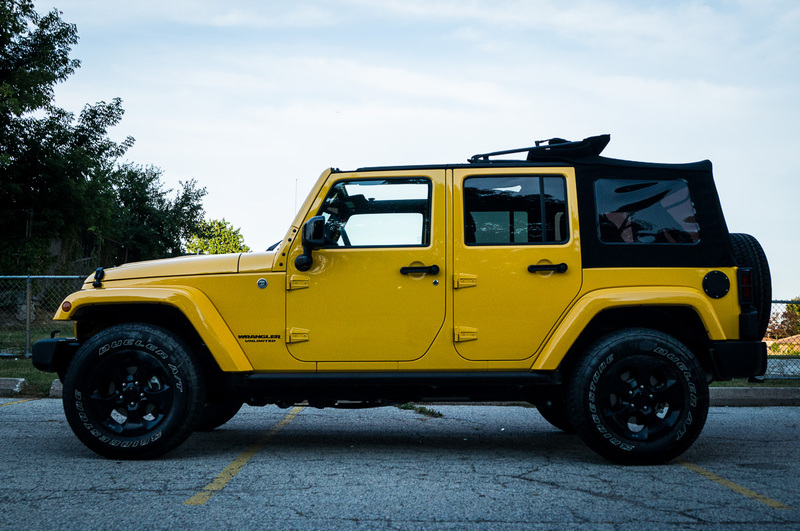 This translates into a Wrangler that can comfortably transport up to five passengers, and helps with highway stability when towing a trailer. It also translates in a less choppy ride over bumps and road abrasions. 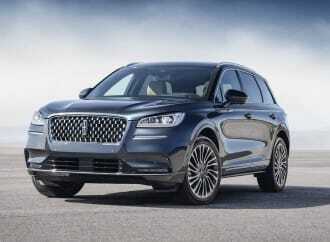 Unfortunately, the long wheelbase may be more at risk of high-centring when off road. 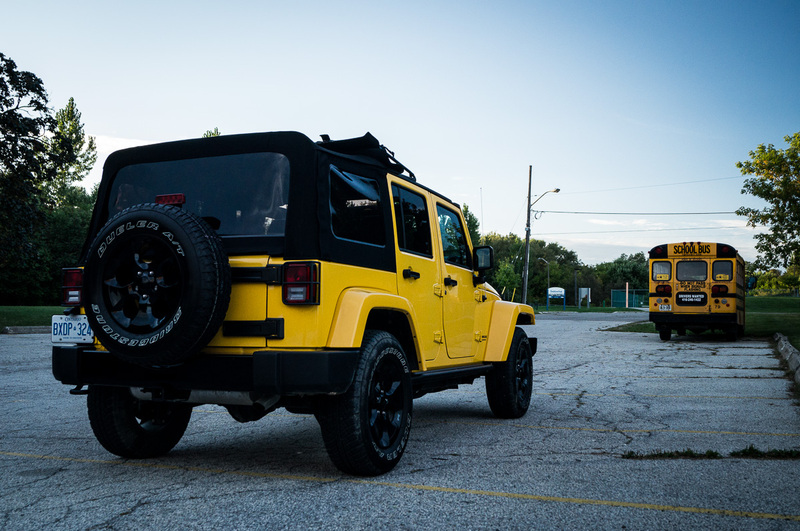 The Unlimited is a good solution if one wants a Jeep, but still needs to carry around people. 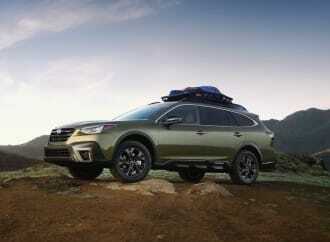 For those looking for unadulterated off-road prowess, the standard wheelbase option is the way to go. 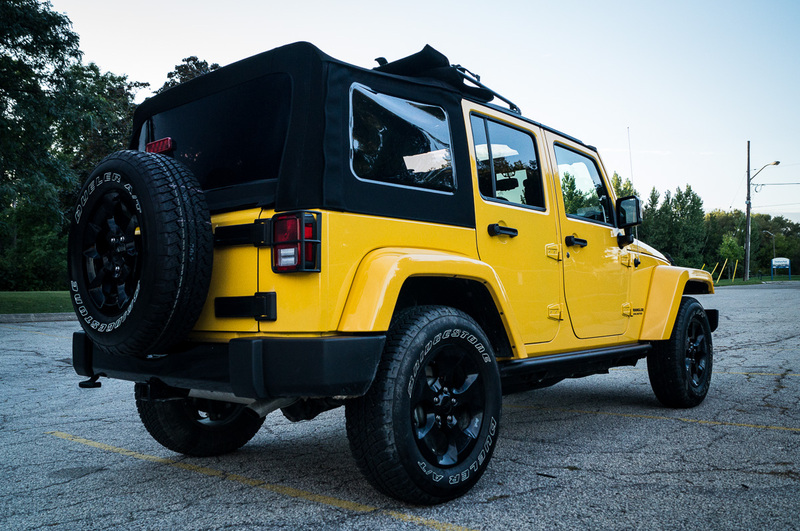 The Altitude Edition package on the Wrangler Unlimited adds a series of touches in addition to the traditional styling that pays homage to the original Willys Jeep. 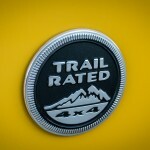 The test vehicle included unique Altitude floor mats, a hood decal, unique grille, rock rails, and tail lamp guards. 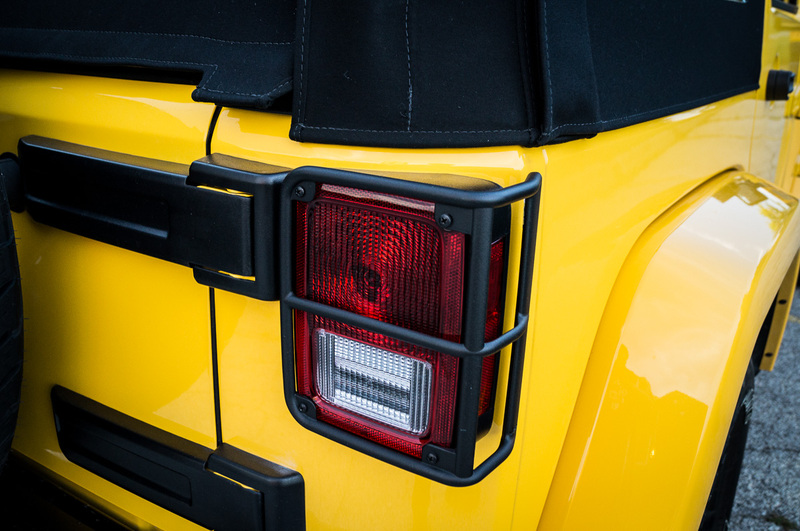 While some may believe that these items may be slightly tacky, for most Jeep buyers, they won’t offend, and the rock rails and tail lamp guards serve useful function for when the going gets tough. 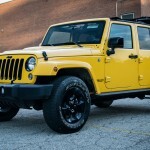 As with all other Wrangler models, the doors are easily removable and the windshield can be tilted forward onto the hood for hard-core off-roading – or in some cases – conspicuous city driving. 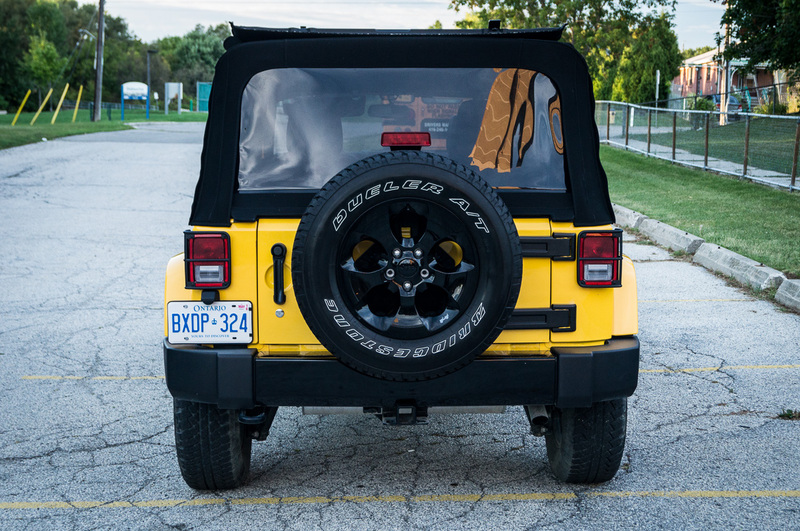 Also included was the Premium Sunrider Soft Top option, which allows for an umpteen number of possible configurations – or it can be removed altogether. Thankfully, the soft top did not significantly contribute to road or wind noise. 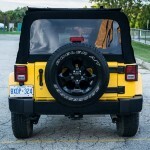 The soft top can be cumbersome and awkward to operate, and often requires a second person and twenty minutes to use. 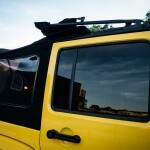 Most drivers will only unlatch the front portion of the roof, and flip it back halfway for panoramic-sunroof style motoring for both front and rear seat passengers. 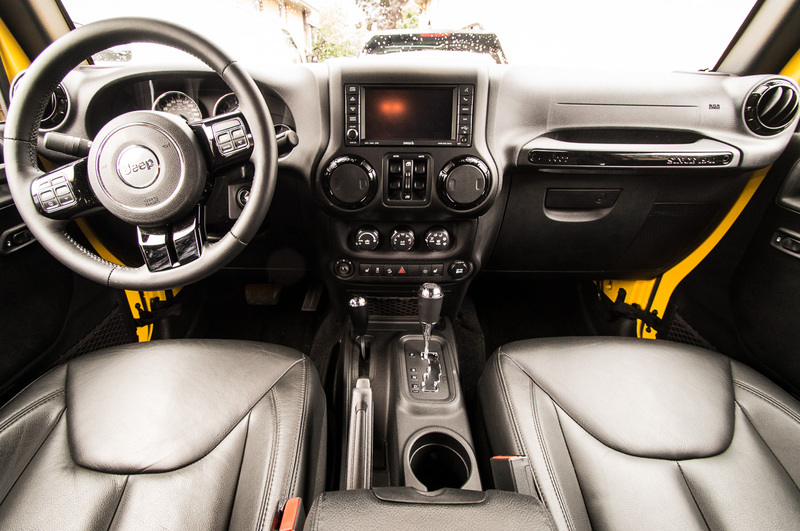 Inside, the Wrangler Unlimited can be equipped with a multitude of options. 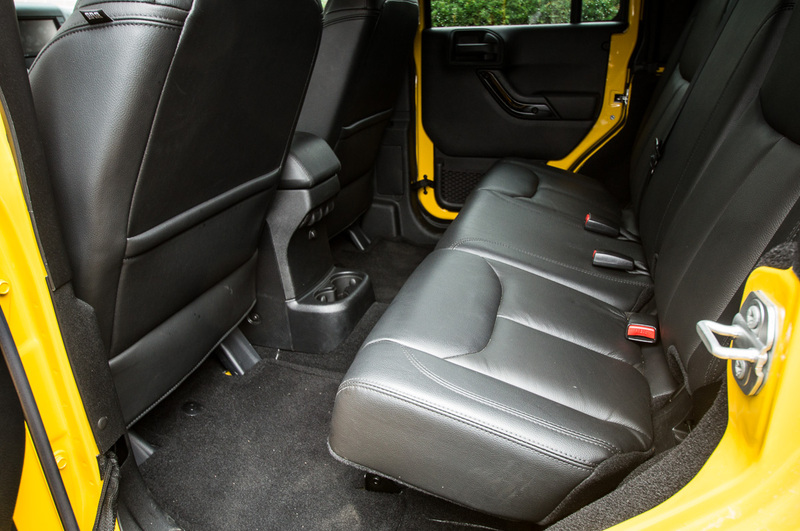 Black leather seats (heated in the front) with manual adjustment are comfortable and may make you forget that you’re sitting in a rugged Jeep. 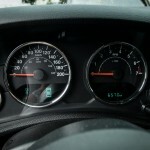 The steering wheel is leather wrapped and is equipped with frequently used infotainment controls. 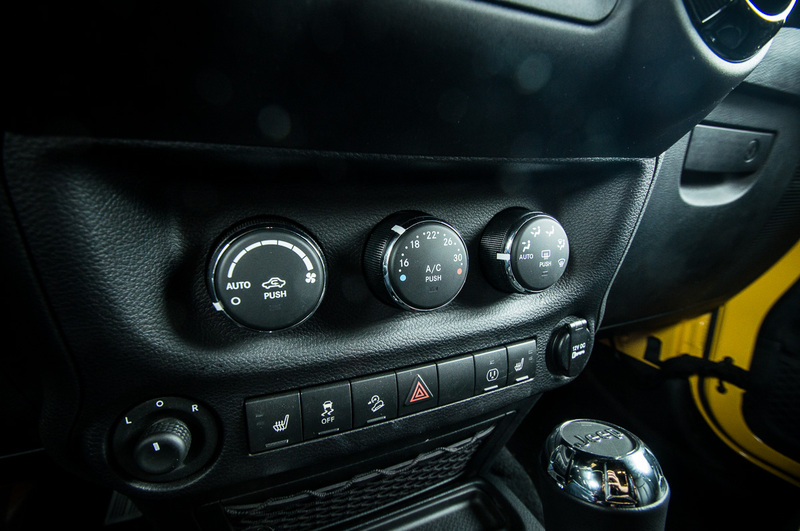 The touch points for the switchgear and grab handles have reasonably good fit and finish, since many items skip the need to reinvent the wheel, and instead draw from the Fiat Chrysler (and even the former DaimlerChrysler) parts bin. 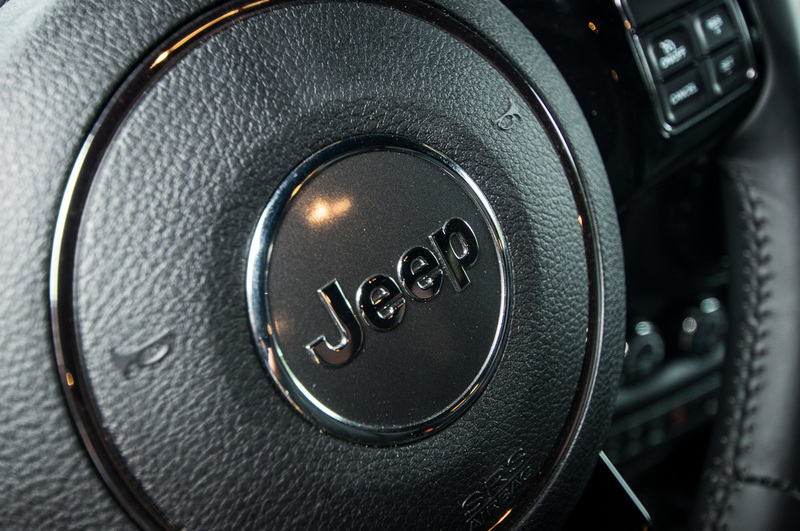 The overall experience on the interior succeeds in maintaining the Jeep personality, while making it modern enough for the 21st century. 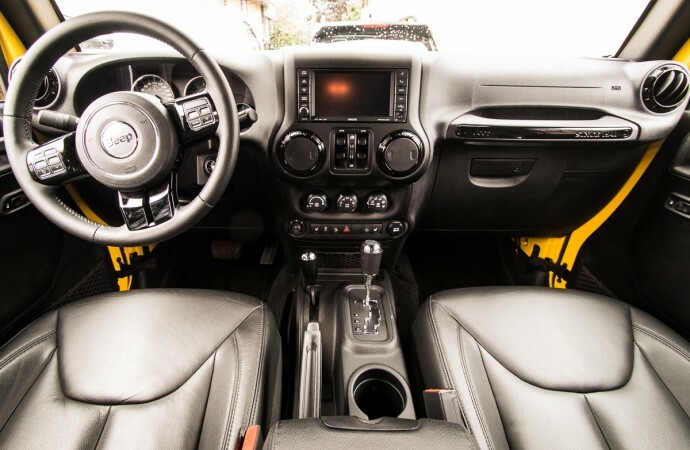 In terms of infotainment, Fiat Chrysler’s Uconnect 730N system makes an appearance in the Wrangler Unlimited. 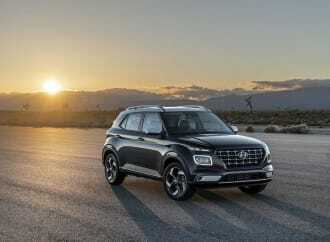 Paired together with an optional Alpine premium audio system, this iteration of Uconnect is not quite the same as those seen in other products such as the Jeep Grand Cherokee or Ram 1500. Touch screen response is not quite as good as the others, and the menu system is somewhat cluttered due to the smaller screen. However, after some getting used to, the system was functional enough to live with on a daily basis, and the extra helping of bass from the cargo-area mounted subwoofer helped to seal the deal. Under the hood of the Wrangler Unlimited is the ubiquitous 3.6L Pentastar V6 engine seen in most Chrysler products, with 285 horsepower and 260 lb-ft of torque in this configuration. Even though it boasts almost one hundred horsepower over past generations of Wrangler, it doesn’t exactly become a powerhouse. 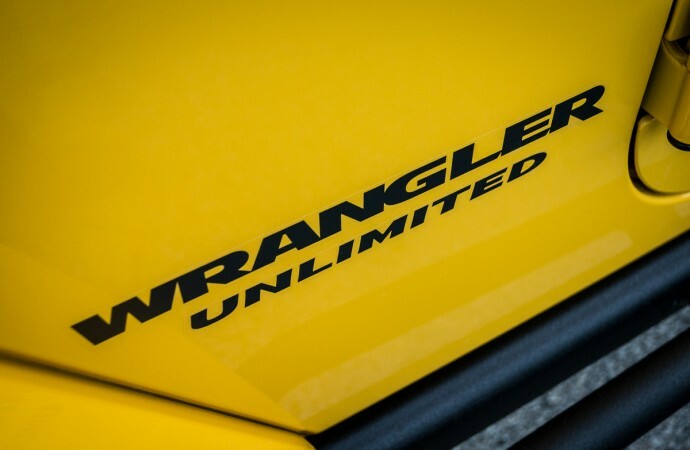 The Pentastar suffers some a lack of low end torque that prevents the Wrangler Unlimited from moving easily off the line. 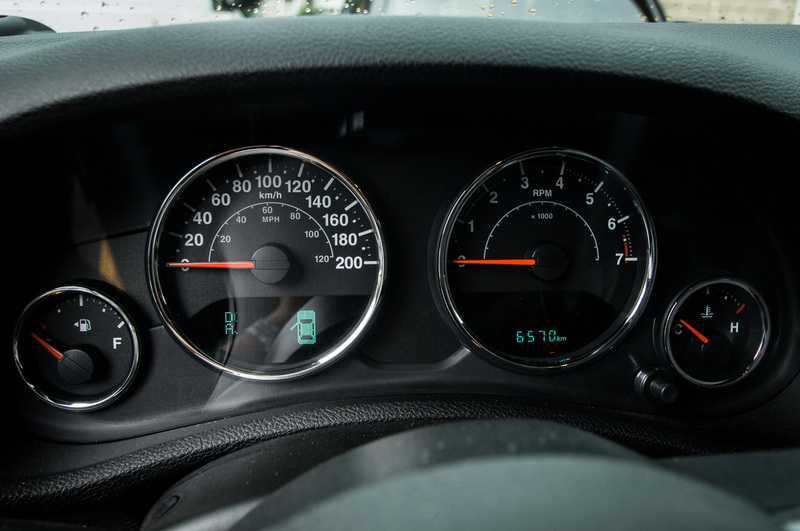 When pushed harder, the engine wakes up as the tachometer sweeps above 4,000 rpm, when all of the 285 horsepower comes into play. Paired to the test vehicle was a 5-speed automatic, which is an older Mercedes-Benz 5G-Tronic design, with optional hill descent control. 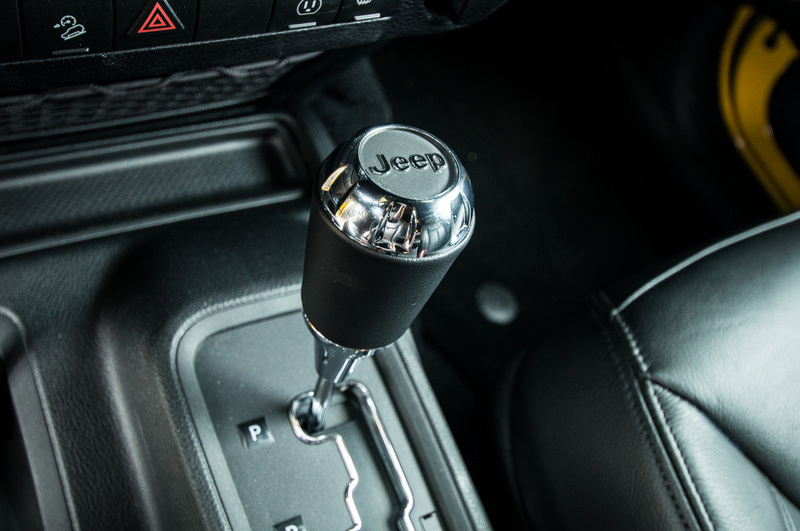 Shifts were slow and deliberate, but of good quality, and the Jeep loved to wind out first gear when accelerating from a stop. The optional Max Tow Package helps with acceleration, by adding a 3.73:1 limited slip rear axle ratio to replace the standard 3.21:1. 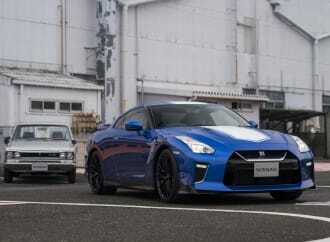 The torque multiplication of the automatic transmission’s torque converter, combined with the 3.71 gears, makes for the bare minimum recommended powertrain configuration. 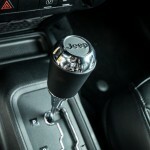 Drivers who elect for the 6-speed manual transmission and 3.21:1 rear axle ratio get the shortest end of the performance stick, and will routinely find themselves at full throttle in order to keep up with traffic. 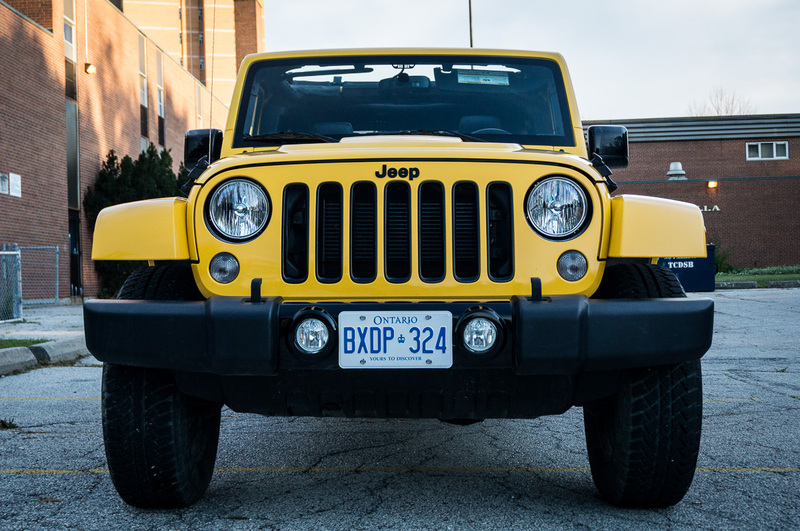 Even with a suspension designed with a bias toward off-road performance, the Jeep Wrangler Unlimited still rides fairly well. Body shake due to the body-on-frame construction is very noticeable over large bumps and undulations, and the Jeep exhibits the classic “rides like a truck” feel. 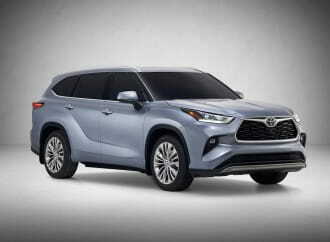 On smooth pavement at highway speeds, the front torsion bars and rear coil springs – paired with solid axles on both ends – settle down quite a bit and allow for fairly calm highway cruising. However, on pothole-ridden urban streets, you may want to hold on to your lunch. 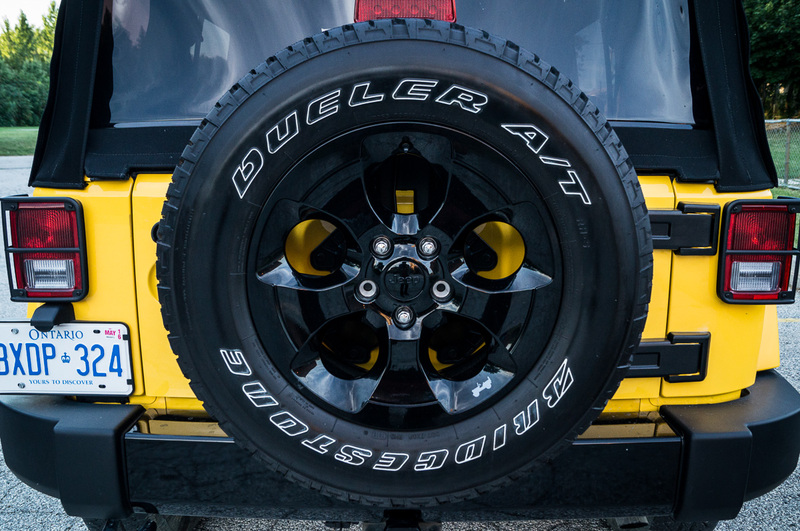 On the flipside, when taking the Jeep to its natural off-road element, the suspension configuration gives maximum articulation and an excellent ability to climb over rocks and ruts, inspiring confidence while having the performance to back itself up. Steering feel from the recirculating-ball setup is numb, but accurate, and is to be expected for a vehicle of this type. 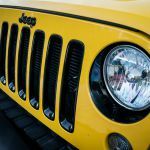 For most Jeep buyers, fuel economy is typically not a primary concern, but it certainly helps when a vehicle is frugal at the pump. 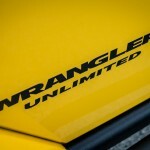 Chrysler rates the Wrangler Unlimited at 14.8L/100km city, 11.7L/100km highway, and it will happily take regular 87-octane. With a good mix of both city and highway driving, observed test economy was 13.4L/100km, which falls in line for the Jeep’s size and weight. 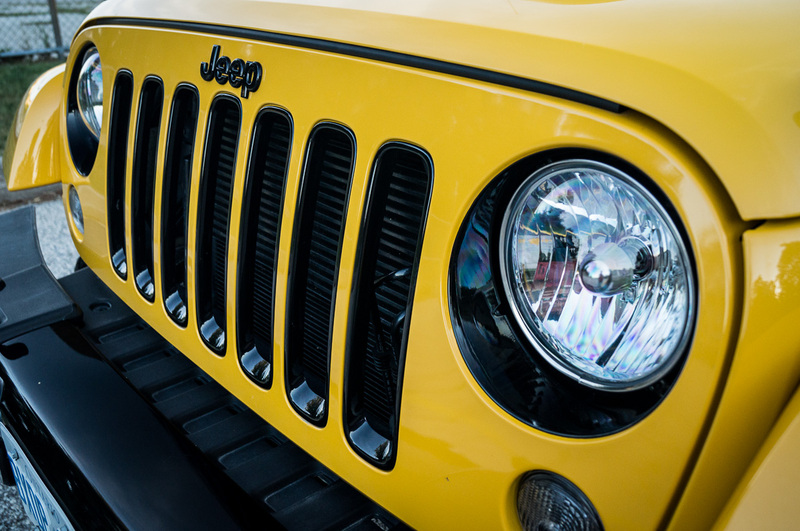 With the addition of a powertrain with more low-end torque, Jeep could likely maintain similar (or even better) fuel economy figures while greatly improving performance, since the engine won’t have to work nearly as hard to get things moving. 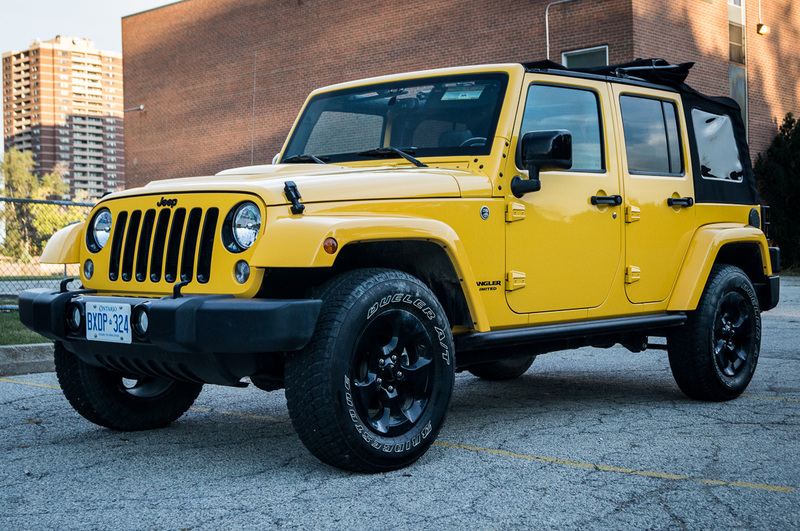 With an as-tested price of $49,680 including destination, the Altitude Edition balloons the price of the Wrangler Unlimited by a significant amount. 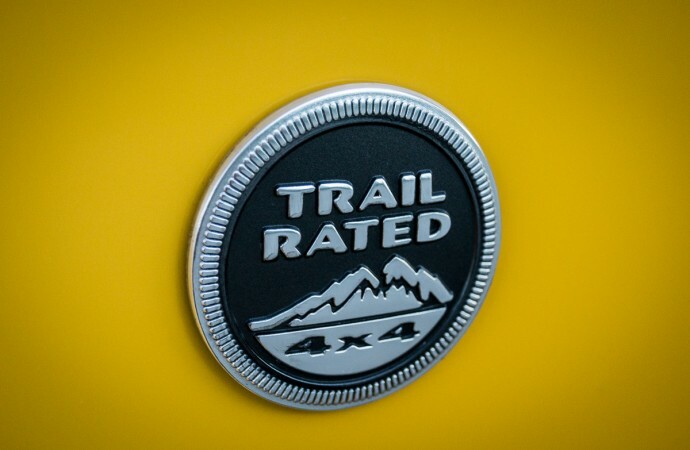 Based on the $36,495 Sahara trim, the $3,695 Customer Preferred Package adds the Altitude Edition items and leather, among other things. 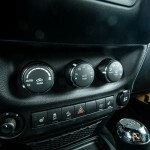 The Premium Sunrider Soft Top added $1,310, the Max Tow Package $575, and the Uconnect navigation and Alpine audio added $1,725 and $695 respectively. 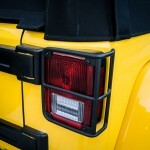 While these options certainly made the 2015 Jeep Wrangler Unlimited feel more premium, the recommended equipment level for optimum value would be the base Sahara with an automatic transmission, Max Tow package (for the 3.71:1 rear axle ratio), and select interior creature comforts as drivers see fit. 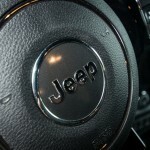 Drivers seeking more creature comforts and more comfortable ride may be happier with the Grand Cherokee. 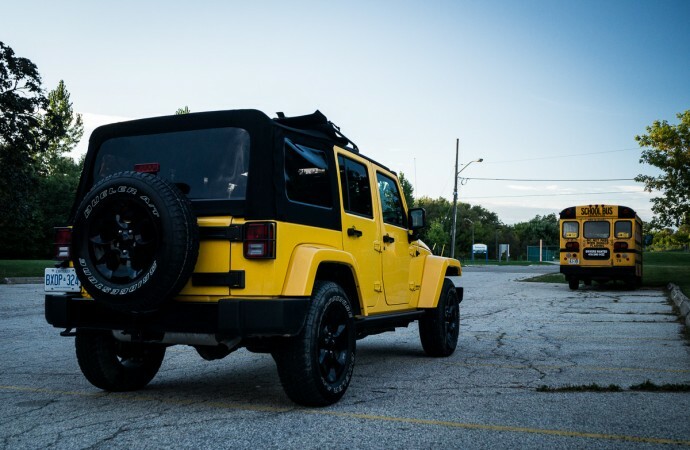 Keeping the Wrangler Unlimited low on frills and high on off-road prowess allows for it to stay true to its roots, and makes for a Jeep that most Jeep enthusiasts will understand.